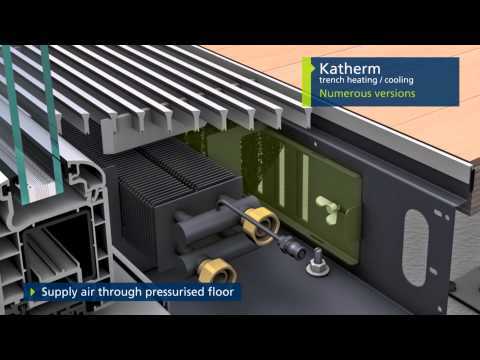 Katherm NK : natural convection trench heating. The Katherm NK benefits from the expertise of our in-house Research and Development Center, tailored to customer requirements from the marketplace. The heat outputs were measured and determined in accordance with E DIN EN 16430 "Fan-assisted radiators, convectors and trench convectors" Part 1: "Technical specifications and requirements" and Part 2: "Test method and rating of the heat output." The NK standard lengths can be extended in 200 mm increments from 800 mm to 5000 mm. Lengths that are not available can be created with individual tailor-made units. 230 V AC only for room thermostat type 30155! Can Katherm NK also be used with low water temperatures? Yes. Depending on the nominal heat load in the room, Katherm NK can be operated with higher temperature ranges, e.g. 75/65 °C, or with lower flow and return water temperatures, such as 45/40 °C or 35/30 °C. Where can Katherm NK be used? To operate more effectively, Katherm NK should be installed directly in front of cold glazing where they can provide cold air screening and also provide supplementary heat. If the nominal heat load is appropriate, they can also be used to provide primary heating for the entire space. 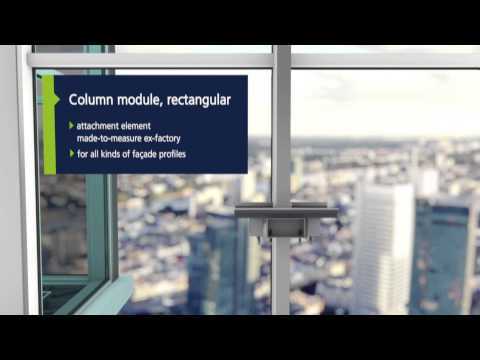 What is the free area of the grilles with Katherm NK? The Katherm NK grilles are designed in such a way that they always a free grille area of approx. 65% in terms of heat output.